How many times have you tried to quit smoking? Are you frustrated at not being able to turn off the cravings and become a non-smoker? You will be able to stop smoking with Choice For Hypnosis. You will not fail; you will achieve excellent results rapidly and effectively. And you will remain smoke free the rest of your life. Sounds too good to be true? It’s not. If you are genuinely committed to giving it up, you can stop smoking with the help of hypnosis. Choice For Hypnosis wants to help you achieve excellent results rapidly and effectively. I use individualized hypnotic suggestions for your unique motivations and concerns. My hypnotism techniques and hypnotherapy will insure your success. It will increase your level of confidence, sense of control over the smoking habit and will reduce or completely remove withdrawal symptoms and cravings from nicotine. 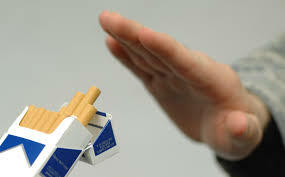 My smoking cessation hypnosis session will be one of the most empowering and enjoyable experiences you have ever had. You will be free from the smell, expense, and inconvenience of being dependent on cigarette smoking! I am not only a certified hypnotist but I am also certified through the American Lung Association as a facilitator for being Smoke Free for Life and was most referred hypnotist for smoking cessation. 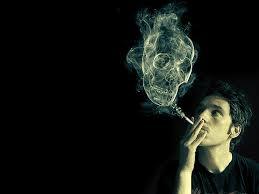 There is a part of you, your subconscious, that is stuck in the past when you wanted to smoke. It is controlling the smoking habit because you have programmed it that way, you taught yourself the smoking habit through repetition. Once the subconscious has learned a habit, it provides a “trigger” or “urge” to continue. Studies have shown that hypnosis is the most effective way to stop smoking for good. It is more effective than nicotine replacement and more effective than will power. It is cost-effective, safe, non-pharmacologic and noninvasive. When’s the last time you read the Surgeon General’s warning on a pack of cigarettes? Did you know there were four of them? Maybe you’re just unaware of them, or maybe you have just chosen to ignore them. One of them says,“Smoking Causes Lung Cancer, Heart Disease, and Emphysema” .It doesn’t say, “May Cause, or Sometimes Causes, or “ Occasionally Causes! ” It says, in no uncertain terms, that cigarettes cause those diseases. In fact over 443,000 people die prematurely from smoking and smoking-related causes each year. The average smoker has tried the patch, gum and lozenges but with no success, usually because one type of nicotine is just replaced by another. And often the cravings continue when you stop any of the replacements. According to the Center for Disease Control, there are over 174,000 people who smoke in New Hampshire (NH). Are you one of these statistics? 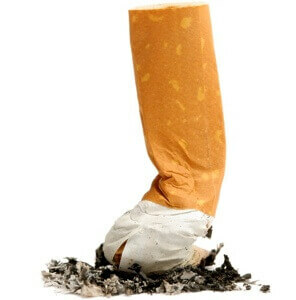 I have helped hundreds of people quit smoking with hypnosis in NH. Hypnosis is a cost effective form of treatment and research shows that it works. It is also non-pharmacologic and noninvasive. I have combined my many years of experience, with smoking cessation through hypnosis and with my education to formulate a proven, unique method, that will insures success. The hypnotic techniques I use will increase your level of confidence and sense of control over tobacco and will reduce withdrawal symptoms from nicotine. Any cravings for tobacco will be significantly reduced or absent. The moment our session is over you will immediately enjoy the sensations of being a non-smoker. If you bring in a flash drive you will be given a free relaxation recording to reinforce all positive suggestions. Most individuals don’t need to use it but love the relaxing effect it has on them. If you are a long time smoker ( more than 30 years without ever quitting ) I may send you a self-hypnosis recording before you come in to help you get started before your appointment. Your Body Will Reward You The Day You Stop! You’ll breathe easier; your smoker’s cough will begin to disappear. You’ll be free from the smell, expense, and inconvenience of being dependent on cigarette smoking. You’ll have more energy and focus. Feel more physically fit. Have whiter teeth and healthier gums. You will lower your risk of cancer heart attack, stroke emphysema and chronic bronchitis and cataracts. You will no longer expose your family and friends to second hand smoke. You’ll be proud of yourself. You’ll make others proud of you. You’ll be a better role model for others. You’ll feel more in control of your life. You’ll save time by not taking time to mess with buying cigarets, cleaning up ash trays, buying lighters.